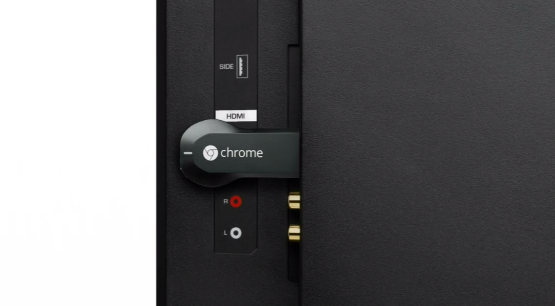 Meet the Chromecast. As the name suggests, it’s powered by Chrome and is designed to bring Google’s browser/OS to the biggest screen in the house. The Chromecast is designed first to be a streaming device. It’s supposed to be the easiest way to get YouTube and Google Play and Netflix and Pandora and photos on HDTVs. Think Apple TV, but rather Google TV with another name (because, well, Google TV is already a thing). The Chromecast is the first expansion of the Chrome operating system out of traditional forms of computing. Up until now, Chrome OS was a desktop operating system, designed for use on a laptop or monitor. Google retooled it for the living room and tapped mobile operating systems to provide the content. 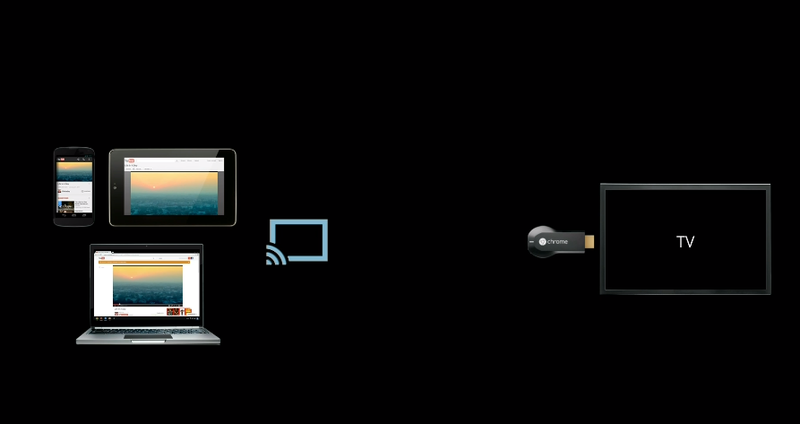 The Chromecast uses an AirPlay-type system to provide content to the device. From Android or iOS, users simply hit a button on YouTube to load the video on the other screen. Quick and easy. Chromecast is essentially Google’s answer to AirPlay. But it’s available on more than just one platform. It also features group playlists, continues playing the media back while the phone is doing other things and even streams while the device is asleep. The big downside is that, as of right now, this feature requires the Chromecast device — it’s not available on countless devices like AirPlay. At least not yet. Best yet, any device can be the controller. Start a video on one device, turn it off, and another device can still control the video started. It appears to be seamless. Desktops connected to the same network can also act as a controller. Click the cast button, the video will play and the computer will continue to play the media as it does other tasks. The device itself is a small HDMI stick similar to the Roku Steaming Stick. It’s powered by USB and Google TV VP Mario Queiroz bragged that it features quick and easy setup. The Chromecast is just $35 and is available today in the U.S.